Do you need specialty cleaning services? Not knowing how to clean a chandelier is perfectly normal for homeowners. A chandelier is not the most common type of light fixture, but modern chandeliers can sometimes be intricately designed or hard to reach. 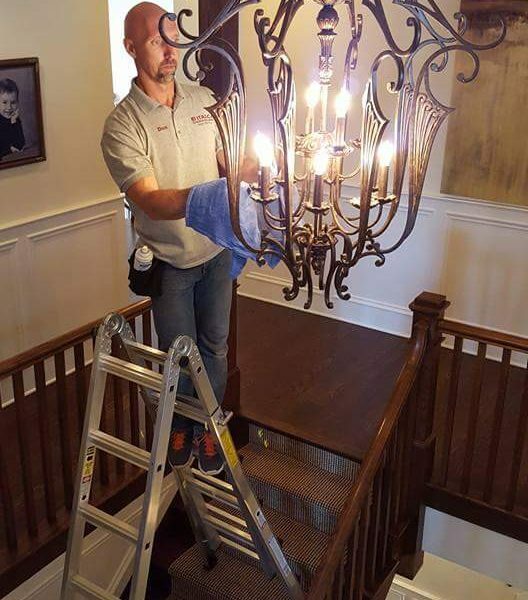 This is why we have specialized in chandelier cleaning services in Itasca: we know that having a professional chandelier cleaning team carefully clean your exquisite lighting can make your life so much easier. Whether you have a crystal chandelier or any other type of intricate chandelier design, our team can help you keep it clean without all of the hassle.